If you are tired of mice or rodents invading your house and you are looking for the best way to keep them out of your home, then Twin Forks Pest Control can help you right away. We have been assisting the local residents of Montauk, Long Island and surrounding areas get rid of rats, mice, carpenter ants, wasps, bees, and grasshoppers for over 20 years and we use the most effective treatments to ensure that they stay away from your property. 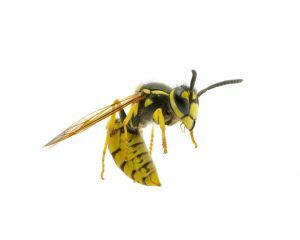 Our licensed Long Island extermination experts know what it takes to keep these annoying pests out of your home for good. We use comprehensive testing to ensure that our products and sprays are safe to use and efficient in keeping all kinds of unpleasant pests out of your Montauk home. To make sure that rodents, bedbugs, or squirrels don’t come back to your house, we offer a protection plan where our team of experts visit your home monthly to maintain a high level of protection against these pests. At Twin Forks Pest Control, our highly trained team of experts can figure out the best approach to eliminate your pest problems for good. Whether you need insecticides, bait traps, or dusts, we have the right tool for the job that will get rid of pests quickly and effectively. If you want to learn more about pest removal services from Twin Forks Pest Control or to get a free estimate, then fill out our contact form below or give us a call at (631) 324-9020. We look forward to hearing from you!